Experienced and professional, Benjamin plays all styles including Jazz, French, German, Italian and especially Rock & Roll! All of my guests and I as the host love Benjamin. I will definitely use him again and absolutely loved him and his talent. Thank you so much, Paula! It was a great pleasure meeting you and playing for your event! Benjamin was the perfect compliment to our event. 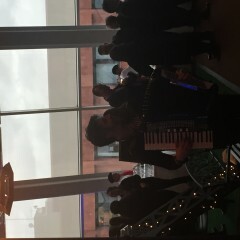 His accordion playing added the ambiance that made for a very special evening. He was engaged with our students and played for almost 3 hours with out a break. He was extremely accommodating and very talented. Thank you so much for a great evening! Thanks so much Lori, your family planned a really wonderful event and it was fantastic to be a part of it! Benjamin all I can say is THANK YOU!! You were such a pleasure to deal with and the crowd loved you!! Thank you for making my dads 80th such a hit. If I can give you 100 stars I would! Extremely great to work with. Came dressed the part of themed event. Worked well with the other entertainers. I would definitely book him again. Ben was really great to work with. Our Parisian theme could not have worked without him. He even came dress the part, what a an unexpected delight. We had some minor changes and he was able to go with the flow. Once we paired him with the mimes it was a dynamic collab. Thank you for making our event great. Benjamin was a great player and very professional. Everyone at the party loved the playing. Ben was excellent. 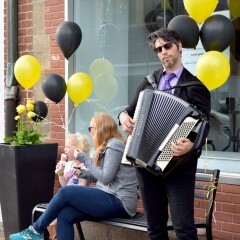 He was very personable and his accordion playing was outstanding. He livened up our holiday party. We would definitely recommend him to anyone and use him again without question. Ben is a super friendly, professional and talented dude. 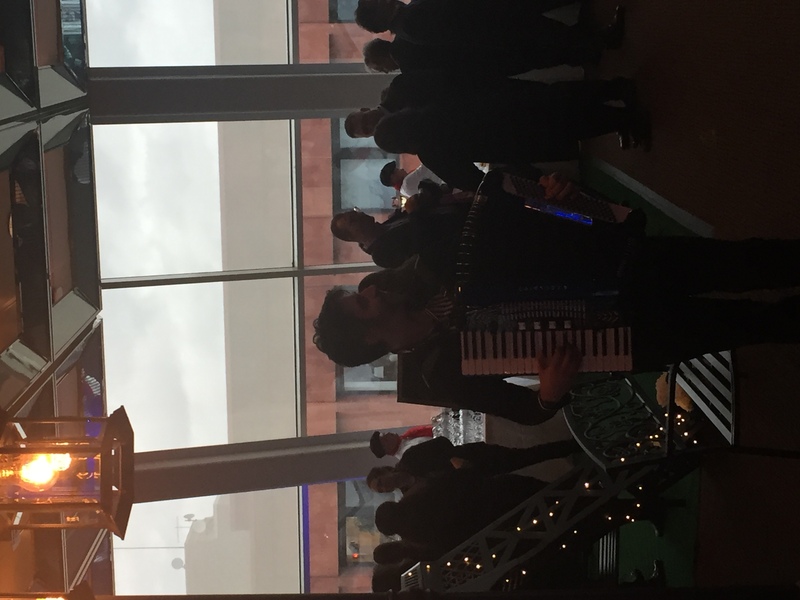 We hired him to play accordion at a Tour de France wine anf cocktail party in DUMBO, Brooklyn and definitely brought a personal touch to the event and enhanced the ambiance. Thanks David, mazel tov to you and M, and have a great Thanksgiving! So much fun. Great job! Mingled with dinner guests and read our vibe. Plan to use him again. Thanks!! Perfectly enthusiastic, lots of dancing, singing, and cheering, combined with our masked and bead donned party people, with bellies full of hurricanes, gumbo, and jumbalaya. Benjamin Ickies made a great night even more fantastic. Thanks Fred, a great group of friends and family such as yours make it easy! We had a fantastic time! Benjamin is easy to work with, up for anything, and unbelievably talented! He even took random requests. We can't wait to invite him back!! Benjamin provided just what we needed to accent our office Oktoberfest party perfectly. Good price and very good communication throughout. Benjamin is an Incredible Artist, I want to create another event just so he can play at it. The sounds out of his music box set the back drop for such a beautiful event, the nostalgia of the old Italian music left the entire family feeling like all our ancestors had attended this celebration. 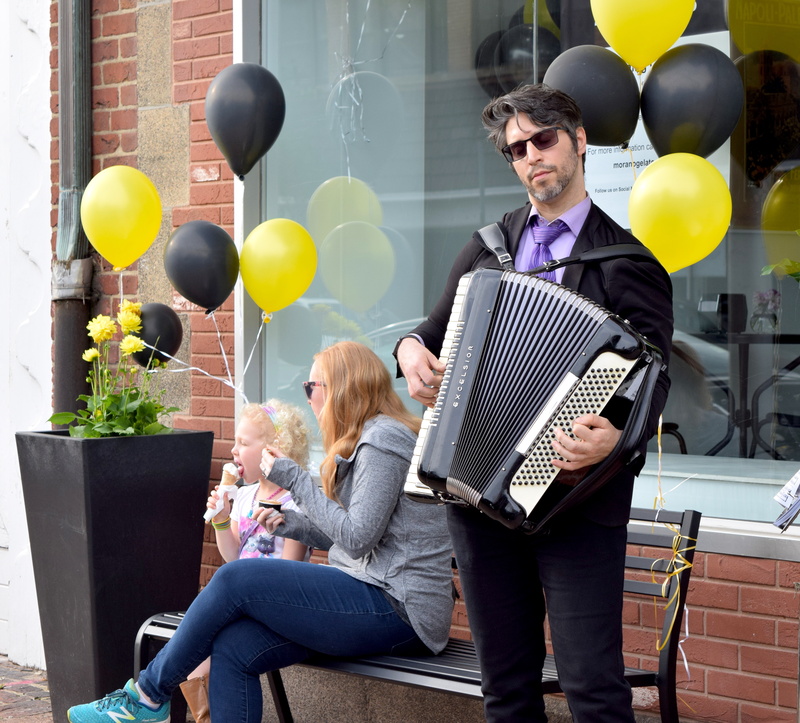 He went from old songs by the greats, classic accordion music to Andrea Boccelli, and really felt the mood of the room around him and adapted his playing and tempo to enhance it! 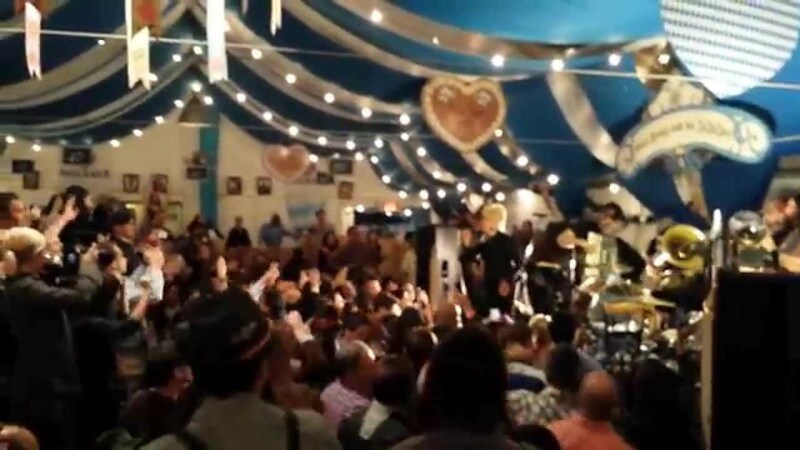 He was resonable and dapper, I actually remember him from the October festivals at Zum Schneider, thank you Benjamin you are an inspiration to the World! Jason, thank you for having me a part of your wonderful family's celebration! Benjamin helped me recreate a moment from my first date with my wife as a surprise for her. He responded promptly and clearly in planning. He was patient when we were running late, and he did a great job. Thanks! Benjamin really added a special touch to my sister's fortieth birthday " in Paris" celebration. He played every single French song we requested and did so so beautifully. All my guest loved it. He arrived early and was very gracious. Thank you Benjamin for helping me make this an unforgettable birthday for my sister. very entertaining....would def use again. Benjamin was incredible. We only asked him to play some music for a few minutes before our wedding ceremony and then for the processional down the aisle. He was incredibly kind, gracious, talented, and everything we hoped for. It was a truly magical addition to our ceremony. We are so thankful for having found him and making the decision to book him for that special moment. We will never forget it! He always acted super professional and understanding. He helped me propose to my girlfriend and it was a success! I definitely recommend him. Thanks so much, Denis, and I wish you two all the happiness in the world! Next time you're in town, Ray and I would be happy to take you to some local music. Benjamin is the perfect musical choice. First he's a wonderful musician with an extensvie playlist. He can read a party and figure out exactly what to play. Second, he's thoughtful, and reliable and very very fair. We had some scheduling issues and Benjamin went out of his way to accmodate. Third, he's young and hip and adds to your party. We didnt want an old time accordionist. We wanted an old world instrument in young fresh hands and thas what we got. We will use him again for sure. Benjamin was the perfect addition to our party! 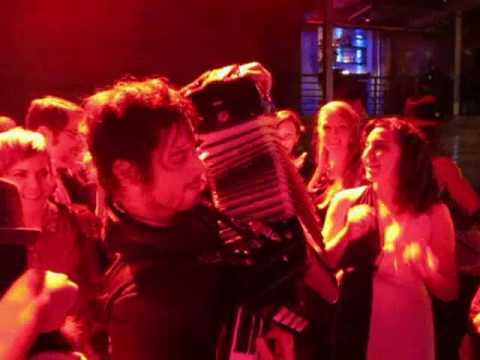 Very talented accordion player! Benjamin did an amazing job at our event - the weather was cold, wet and windy but he powered through with a smile and made our event amazing. Benjamin arrived early, was extremely professional and talented. Everyone in attendance enjoyed his music and personality very much. Benjamin brought a great fun vibe to our Oktoberfest event. All of our attendees seemed to enjoy the night with Benjamin providing the soundtrack. Thanks so much! Thanks, Kim, it was a pleasure working with you and your team! Ben was very easy to work. Benjamin was amazing! So professional and incredibly talented. Quite adorable and nice, to boot. I would definitely recommend him to anyone. He came early and left late and had all the kids dancing. I can't say enough good things about him. Thanks so much! It was my pleasure. I like to have some discussion ahead of time what effect you want your event to have on your guests. From there, it helps me finalize a playlist and dress customized to your needs. While many accordionists are 'self-taught', I studied the instrument intensively for several years with Dr. William Schimmel (Tom Waits, The Tango Project) where we covered every style imaginable. More importantly, I learned to approach every gig with creativity and enthusiasm. 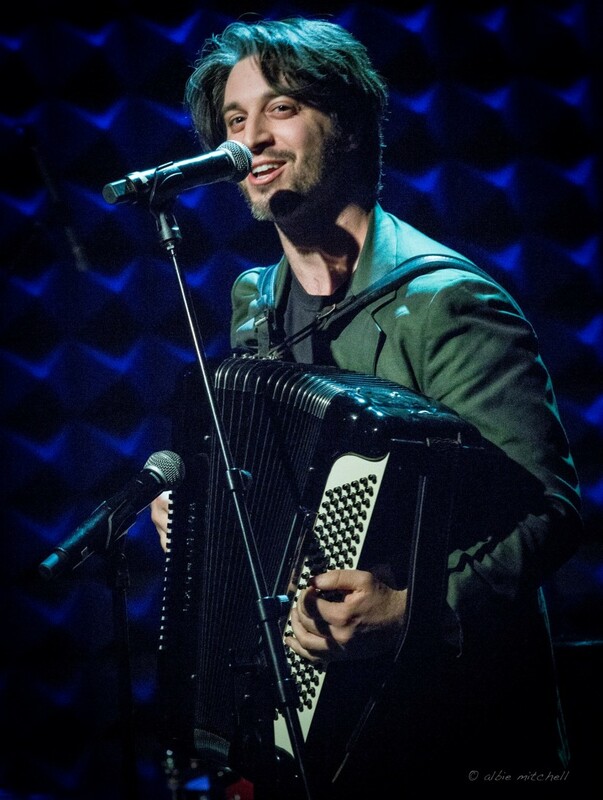 I have been a featured performer at venues ranging from Carnegie Hall and Lincoln Center to Joe's Pub and CBGBs. I was also the first accordionist in history to perform with the Martha Graham Dance Company and subbed in American in Paris on Broadway. Currently I organize music for a variety of German, French, Italian, rock and cabaret events. I look forward to hearing about your event and how we can make it special! 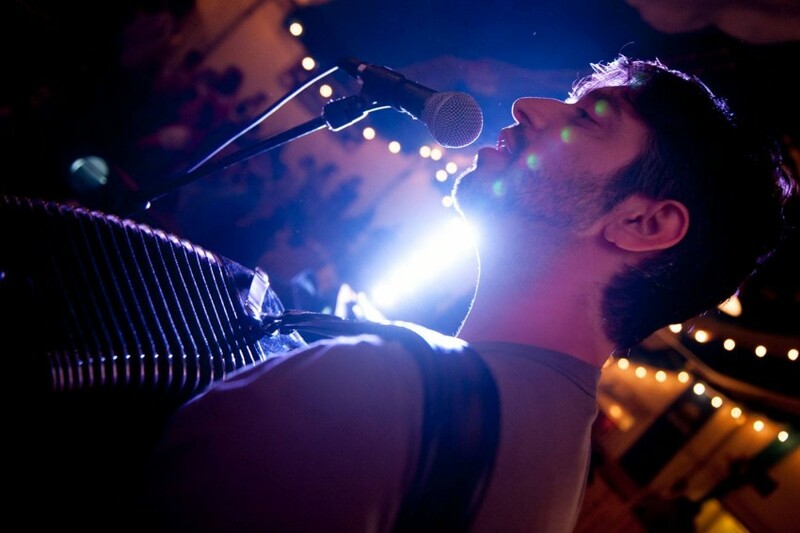 The accordion is an acoustic instrument, so for smaller spaces it often doesn't need amplification. For larger spaces, we can increase the volume either through an amp and/or by patching into a PA system.